How did I kill him? Why did I kill him? 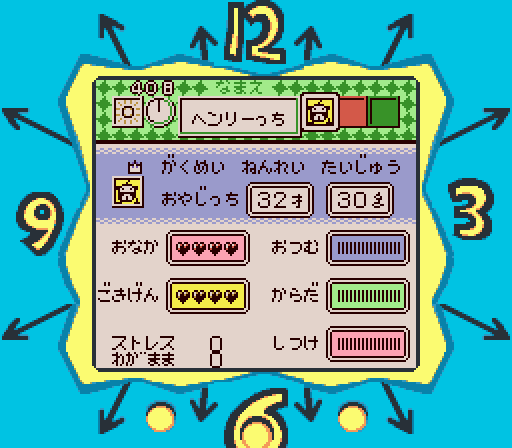 And what led me, after my first experience playing Tamagotchi for Game Boy more than 20 years ago, to kill such a venerable and perfectly healthy Tamagotchi, the envy of most Tamagotchi owners? And why does a 31-year-old grown man with a job and his own home play Tamagotchi anyway? Note: Usually, I take all my own pictures. However, this time, I used some from FREEIMAGES <https://www.freeimages.com/>. Many of these are from iStock. However, I took the photo of the cartridge and all the screenshots myself using my iPhone 6 camera and the Print Screen button while using NO$GMB, respectively.